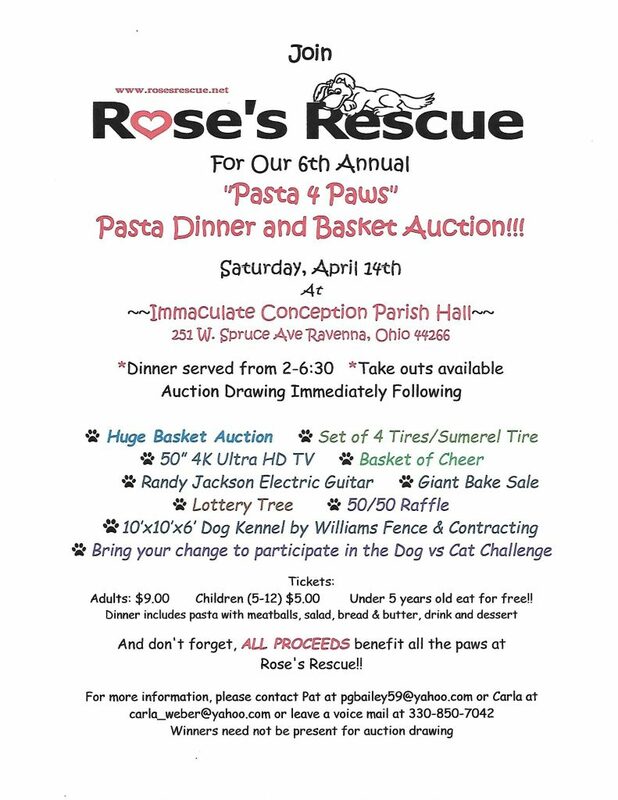 Rose’s Rescue a non profit pet rescue will be holding their 6th annual Pasta 4 Paws on Saturday April 14th! 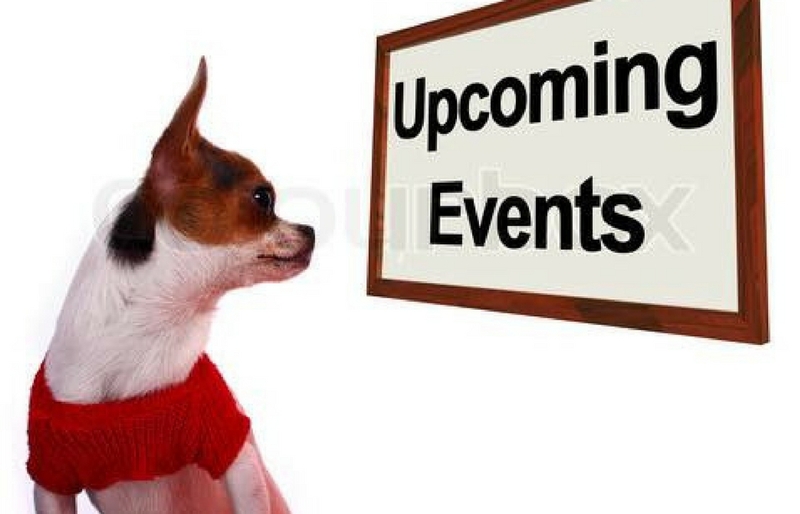 Dinner will be served from 2:00 p.m. – 6:30 p.m. Raffles begin immediately following dinner. Winner need not be present to win. Meal tickets available at the door. $9 adult $5 child 5-12 yr Under 5 years old free. Lots of fun gift items to take a chance on! See you there! !